Here's a fun SUMMER FUN FREEBIE to help your students stay engaged during the summer! 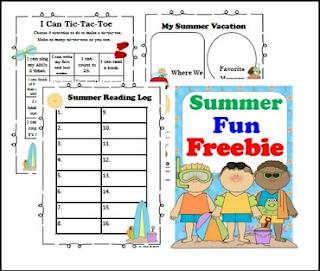 These fun activities are from my Ready for 1st Grade Summer Packet and Ready for 2nd Grade Summer Packet. If you like what you see, please leave a rating and stop by to check out my Summer Packets.